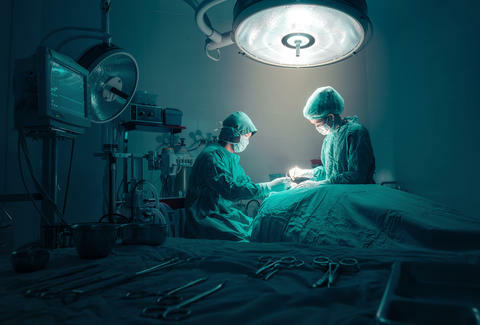 There's no such thing as a minor surgery, as the saying goes, but one operation that took a fiery turn left surgeons scratching their heads and pinching their noses. You see, because the blaze was caused by something quite unexpected: a fart. First reported by Japanese newspaper Asahi Shimbum, the incident occurred at the Tokyo Medical University Hospital in April while doctors operated on a 30-year-old woman’s cervix with a laser. The laser unexpectedly burst into flames, causing the woman injuries. After an investigation, a report released on October 28 concluded “no flammable materials were in the operation room at the time of the surgery,” according to the newspaper. No flammable materials, that is, except a fart. A small excretion of gas interacted with the laser and caused a fire, unfortunately giving the woman burns across her waist and legs. Although you’d never think that farting during a routine operation could cause such a disastrous scene, farts are flammable, as any gaseous 8th grade boy wielding a match can tell you. To echo Gizmodo, this a cautionary tale. If you ever have laser surgery, don’t eat a pork burrito beforehand. Eat a kale salad and take some Gas-X.